Pacenti Forza: Budget Strength Are there better wheels than the Pacenti Forza for less the $500? We don't think so. There is expensive stuff in the pages of PELOTON. That’s just a fact. We like the bling. Guilty as charged. But that doesn’t mean there aren’t amazing products to be found for amazing prices. However, it does mean that sometimes those amazing products can sit and get dusty at the PELOTON Service Course as we overlook them in our childlike zeal to get our hands on the latest carbon do-dad or ultra-aero what’s it. We’re like toddlers. Show us a shiny object and the ADHD kicks in. This was the fate of the Pacenti Forza disc brake wheels. Alloy clinchers? These things got dusty as we focused on flashy, deep carbon. It was a new project bike that gave them a chance. We needed a set of disc brake wheels with 12mm through axles and there they were, just waiting. We grabbed them, dusted them off and set them up, confident in the knowledge that we’d do a few rides on them and then move on to something fancy, once a few UPS deliveries came our way. Ride after enjoyable ride, we kept the wheels on the bike. The flashy wheels showed up, but they got dusty. Almost subconsciously, we didn’t really have the desire to make any changes. Were these really just $429 bucks? Did they actually weigh 1710grams? There’s no question you can get lighter and snappier wheels that will do more to improve your ride than these wheels, but for less the $500 bucks is there a better wheel set? We don’t think so. The Zipp 30 Course features similar dimensions and performance and it’s twice the price. The Fulcrum 6 DB or Shimano RS770 share a similar price, but not the same ride quality. The closest competitor we’ve found is the HED Ardennes Plus GP, but those are almost $300 more. 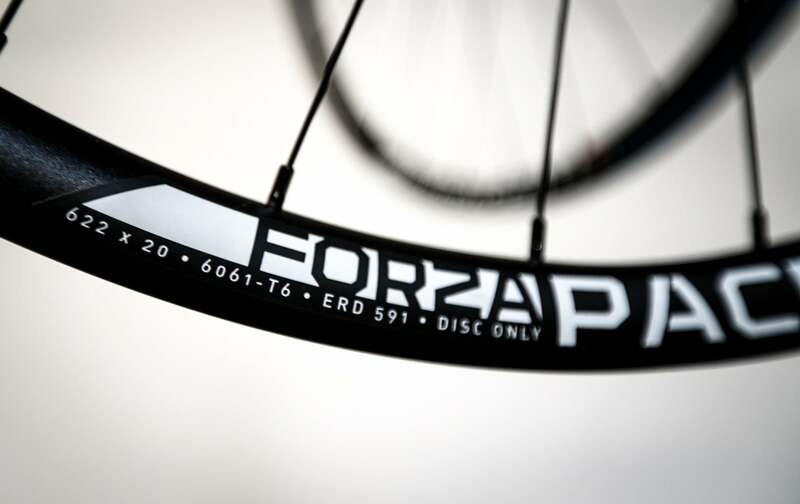 “What makes the Pacenti Forza standout in the budget wheel category?” we wondered. It starts with dimensions. Where most wheels at this price point offer a 15 or 17mm internal width, the Forza provides a generous 20mm internal width, to make magic with a 25 or 28mm tire. The asymmetric rims themselves, at 25mm deep and 24mm wide, weigh 460grams, not crazy light to be sure, but still light enough to spin up confidently. 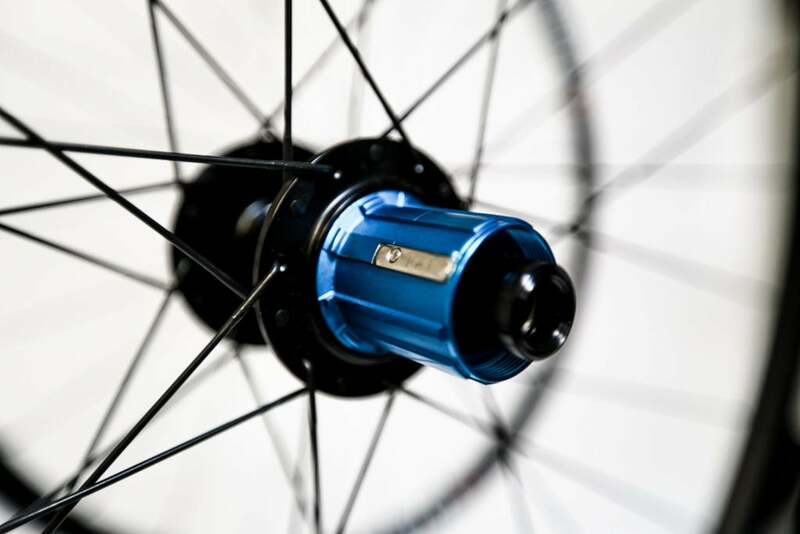 With a stout 28 spoke build of Sapim D-Light’s front and back the wheels are tough, and possess a ride quality that delivers very progressive response as you lay the fat tire patch over and really load the wheels up in the corners. Always predictable, always confidence inspiring, with the ability to campaign road and gravel. The hubs continue this habit of defying price point. 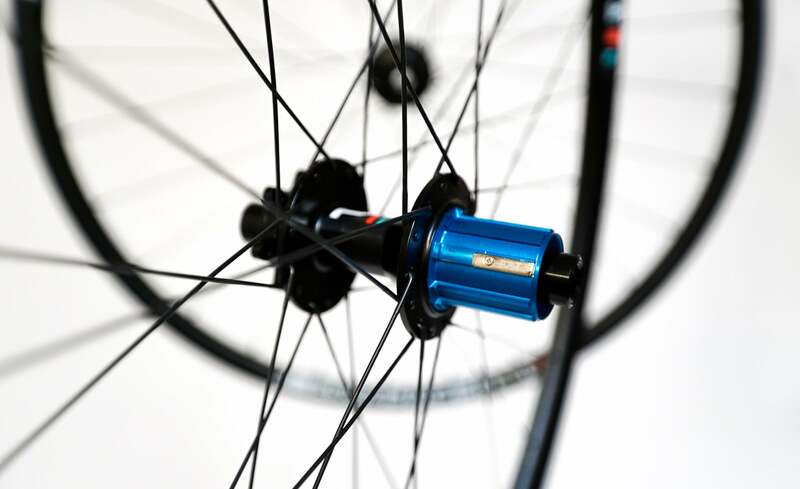 It’s not that they are crazy light or filled with ceramic bearings, but they look great and feature nice touches like the bite guard on the gorgeous blue anodized hub body to protect the vulnerable alloy from marring by the cassette. So far so good with Pacenti’s EZO sealed bearings. At this price Pacenti doesn’t include end caps for every standard under the sun, but they can be ordered when you buy your wheels. It’s the same story with the tubeless et up. 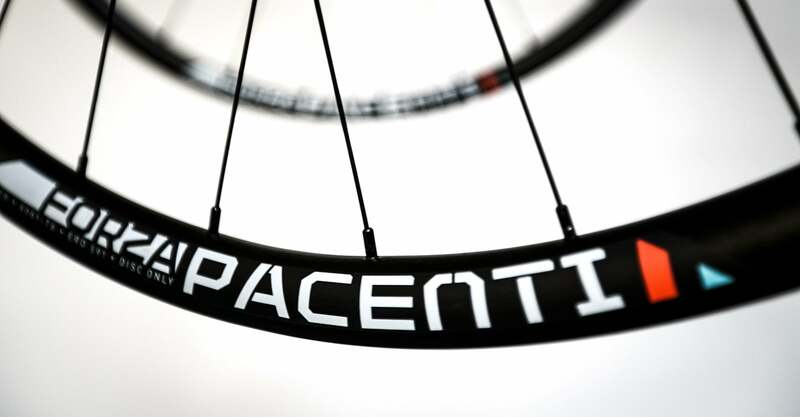 For $429 you get regular rim strip, but again, everything you need to go tubeless can be bought from Pacenti at the same time – $20 for valves and $9 for tubeless rim tape. There is no question that there are plenty of wheels that are lighter and faster than the Pacenti Forza. But that’s not the point here. The real question is are there any wheels lighter and faster for less than $500? Not even close. In fact, to get any real gains you’ll need to look north of $1000 for a better set of disc clinchers. $429, 1710grams; Pacenti Forza Disc Clinchers.